'It Would Have Changed My Life': Questions For Cartoonist Tillie Walden Tillie Walden's graphic memoir, Spinning, won a prestigious Eisner Award this summer. She says she wishes she'd had a book like it when she was young and coming to terms with her sexuality. 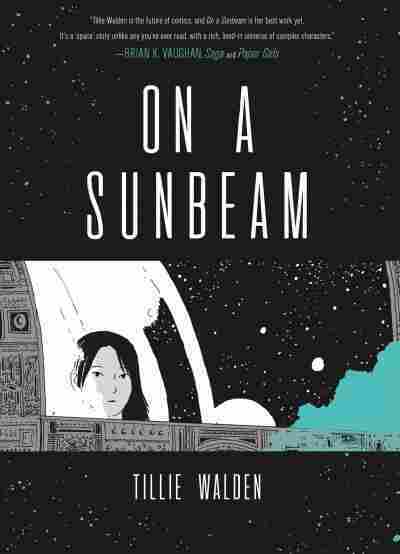 Tillie Walden is only 22 years old, but she's already published six graphic novels. Her work often features young female protagonists — sometimes herself — coming of age. This year alone, her graphic memoir Spinning won the Eisner Award for Best Reality-Based Work, and her webcomic On a Sunbeam was published in book format. 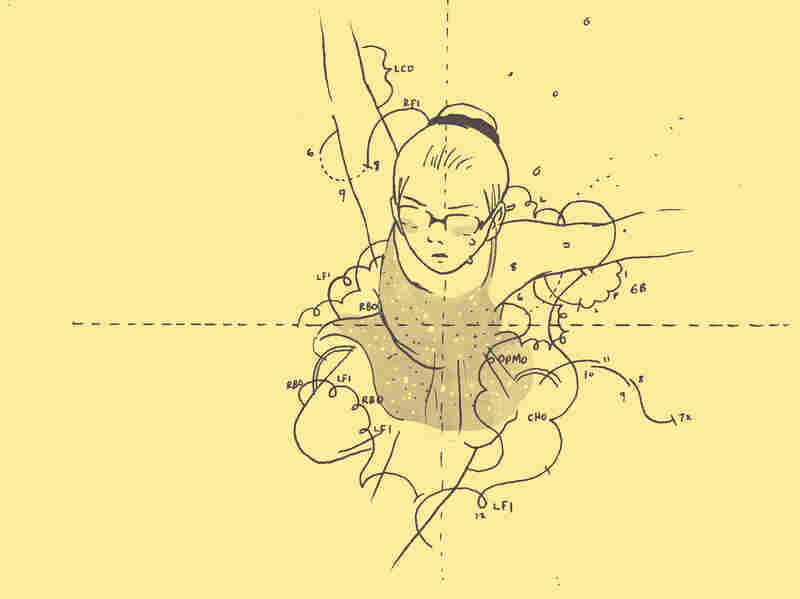 Spinning is Walden's goodbye — of sorts — to her adolescence as a competitive figure skater. Starting with her growing disillusionment with the costumes, the judging, the culture of competition, Walden depicts her decision to quit for good, just as she was also coming to terms with being gay. She tells me it wasn't easy to explore that part of her past — when she first tried, she says, she froze. "I physically couldn't draw myself on the ice, I was getting so stressed out. I thought I was on the ice again." So she took a few months to think about it, eventually beginning the school project that would become her Eisner-winning graphic novel. On a Sunbeam is less directly autobiographical. It tells the story of a young woman named Mia, who joins a space-faring construction crew that restores old buildings. It's also about Mia's first love, her high school girlfriend, Grace, and her first heartbreak, when they were separated. As Mia learns to revive the old structures and grows closer to her crew, she reflects on her past and how, though she's learned to live without Grace, she still longs to reconnect — or at least, to say goodbye. On A Sunbeam is set in some pretty fantastical parts of the universe, yet the story feels very grounded in characters that feel real and relatable. Part of it is that many of us can probably identify with being separated from a loved one — either by death, a move, or other circumstances — and longing to reconnect. Why focus on that longing, and why was space the right setting? In most of my life — and everyone's, really — people come in and out. But what really interests me about that concept is when there's someone in your life who you both desperately miss and have learned to live without. I love having characters go through challenges, then learn to live with them, and let their desires grow and change. Space was the right place for this kind of dynamic simply because it's so vast and mysterious. Space isn't simple, it's endless — like the way our need to be loved is endless. 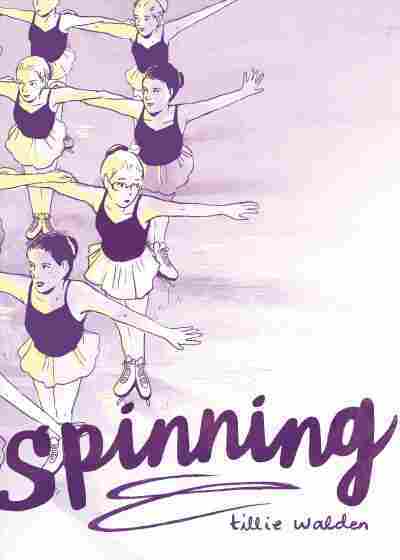 Spinning is a graphic memoir about your time as a competitive figure skater. What made you want to tackle that time in your life at this point? It really wasn't intentional. I went to the Center for Cartoon Studies for two years rather than going to college, and at the end of my first year, we had to make a comic. We had already made many comics but my teacher said to us, make the best comic you've ever made. And that is a lot of pressure! And I remember walking home from class that day, thinking "I don't know what to write about." It was a huge blank, so I went home and made a list of different things I could write about and I wrote down "ice skating," sort of out of the blue. And then I realized, oh wait, I used to be a figure skater for 12 years, there's some content there. It sort of hit me; I'd never considered it before! So I sat down to make a comic for school about figure skating and I intended for it to be funny. It was going to be about how I was Cookie Monster on ice for a while and then I was the cheerleader in Glee, but I wore glasses so it wasn't totally accurate. And as I started drawing it, I just completely broke down. And I physically couldn't draw myself on the ice, I was getting so stressed out. I thought I was on the ice again. I thought there were judges around me, I was wearing the dress again, I was freezing and couldn't warm up, and I realized there was a lot more going on than I realized. I took a few months to think about this, I didn't jump into it right away, and I had the summer to think about it and at the start of my second year, we had to do a thesis project and I started Spinning. You draw each jump so carefully and clearly, I felt like I could tell what was happening with each jump. How did you draw those sequences? Did you rely on muscle memory or mental image of what the jump should look like or did you use references? Walden says she relied on muscle memory to depict the jumps and twirls in Spinning. It was all memory. I would close my eyes and do the jump in my head, and my body would kind of twitch. It probably would look very strange to anyone who was in the room with me but my left leg would kind of go up and my right arm — as if I was about to do the jump, and I'd remember how it was and draw it immediately after having felt it. You do something like [ice skating] for so long, it's all muscle memory. Plus, there aren't good photos of ice skaters doing things. Not in the way it actually feels to do a jump. I bet if I looked at a photo, it'd be all polished and wrong. I wanted to remember how it felt. What would it have been like for the self you depicted in Spinning to read a book like Spinning? It would have changed my life. If I'd read something like that at 13, I would have quit skating, cut my hair, grabbed the hand of the girl I liked ... really! I was always on the cusp of being myself. I have quite a spirit in me, I was so close. I just needed one nudge. One person, or one book, to say "It's okay, you can stop being an ice skater. You can be a lesbian. And you're going to be okay." And I watched those "It Gets Better" videos as a kid and it completely just washed over. They didn't connect with me at all, for some reason. I think a book like Spinning would have connected with me. It would have meant the world to me, and I'm so glad it's out there now for anyone who needs it. You write for a wide audience, but you also acknowledge that teenagers are a big part of your audience. Does that have any effect on what you write about — either the characters you choose to include, or the way you talk about certain subjects, knowing your books could be someone's introduction to queer identities or concepts? I think a book like 'Spinning' would have connected with me. It would have meant the world to me, and I'm so glad it's out there now for anyone who needs it. It doesn't, because I don't really think of teenagers as being particularly different from adults. The underlying problems, in my mind, ultimately end up being the same. Sure, I don't have to worry about homework anymore, but I still worry about proving myself and having a tangible way to understand my success — which is just like homework, when you get right down to it. I never know when one of my books will be someone's introduction to a queer story or identity, but I do know that my portrayals will never be perfect or all encompassing. I can't represent my whole community — I can only represent myself. And that's a concept I'd really love queer youth to take in: That they don't have to be advocates for the whole world, they don't have to bear the responsibility of an entire community. They have to take care of themselves before they can care for others. 2018 is nearly over. What's next for you in 2019? What's a goal you'd really like to accomplish? It is, isn't it?! 2019 will be a busy year for me — many books to draw and adventures to go on. A goal I'd really like to accomplish is learning to work more slowly and more deliberately. I know I'll get my books done, so that shouldn't be a goal. I'd like to meditate more frequently, drink more water, write down my dreams when I wake up.